I have spent more time in Varadero than I have in Havana, so it only makes sense that I have a couple of stores that I enjoy in town. No trip to Varadero is complete without stopping in to see Alphonso at the LCDH at the corner of 1st Avenue and Calle 63. Alphonso has been rolling cigars here for years, although he occasionally heads out to one of the other stores in town, and there are four of them (if you include the one at the Plaza Americas, the mall near the golf course). Varadero is very much a tourist town; on any given day there will likely be 10,000 or more tourists at the myriad resorts along the strip, as well as at the hotels in town. The total population is 3,000, and most of the staff at the resorts come in from Cardenas and beyond. Owing to the tourist density, Alphonso is a staple on the local tours. After they do what they will in town, the tours will stop at La Casa Del Ron, and then head over here. I have seen Alphonso give demonstrations to groups up to 30 strong, while the tour guides translate. Depending on the size of the group, he may hold court on the patio, or in the Tienda Del Ron, which will accommodate the largest groups. As Liza decides if she wants to take cigars for her father, she walked down to the Taller des Artes, a gallery just down 1st at 60th. I sit out on the patio to see if Craig and Ian are going to show up, and Dany brings me a magnificent cappuccino to enjoy with my Alphonso Pyramide cigar. It is, from my understanding, one of his two signature sticks (along with the Robusto), and I have always suspected these are the ones that the unknowing tourists are willing to buy the most of. I respect that, but I have also smoked his higher end cigars, and they are excellent. The Pyramide that I am smoking is very close to a Montecristo No. 2, so it is spicier and peppery and wonderful. At cuc5 per stick it is much more than you would spend on the same stick in Havana. I guess that is what happens when you are the only game in town. 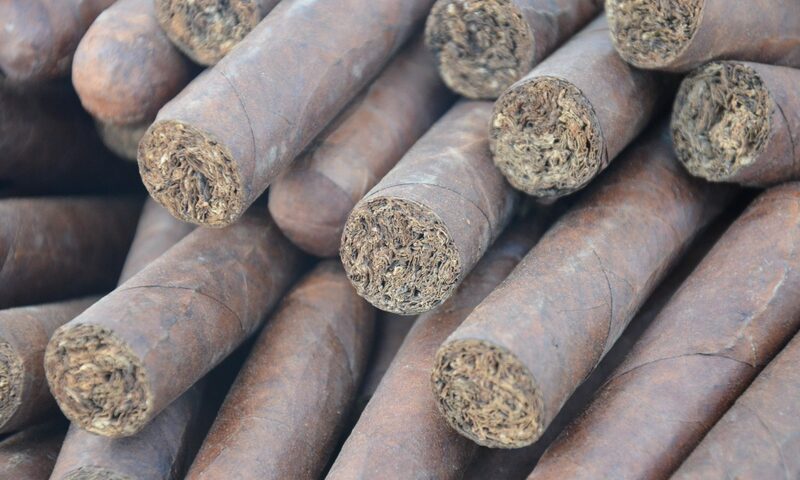 If you are not going into Havana, then they are as good as you will get, and still several cucs cheaper than the branded Montecristo or Diplomaticos. The patio is quiet, although there are a few people inside the rum bar where Dany is pouring Havana Club 7 años. I do not understand why anyone would want to be inside on a perfect sunny day like today, when the awning offers shade, the breeze is keeping us cool, and we are looking down on Avenida 1 and the pedestrians mixed with vintage Franken-cars driving past. Liza came back from the gallery, ordered a café con leche (which she tells me is fabulous), and is relaxing with me on the patio. The boys were a no-show, but that is okay because I saw them the other day in Havana, and will see them again soon in Canada. There is no stress, there is no disappointment, there is only my beautiful girlfriend, the sun, the breeze, the cappuccino, and Alphonso’s cigar, which is still burning perfectly an hour later. What better way to enjoy a lazy afternoon?